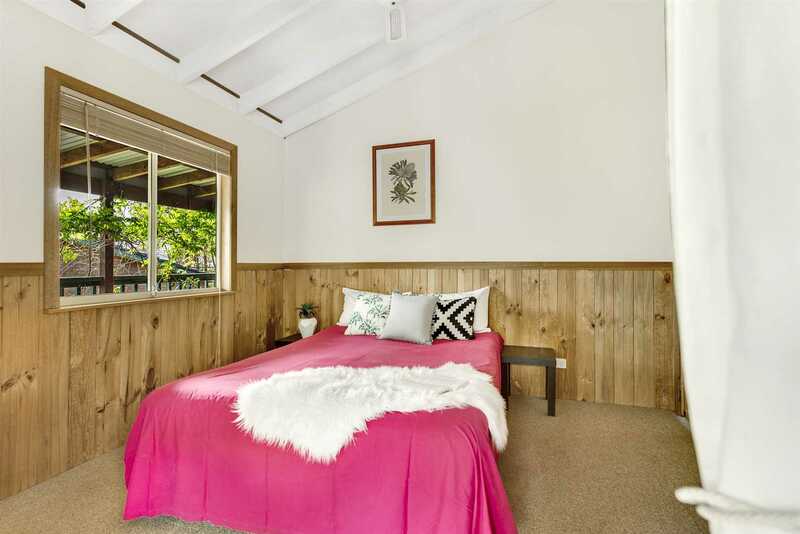 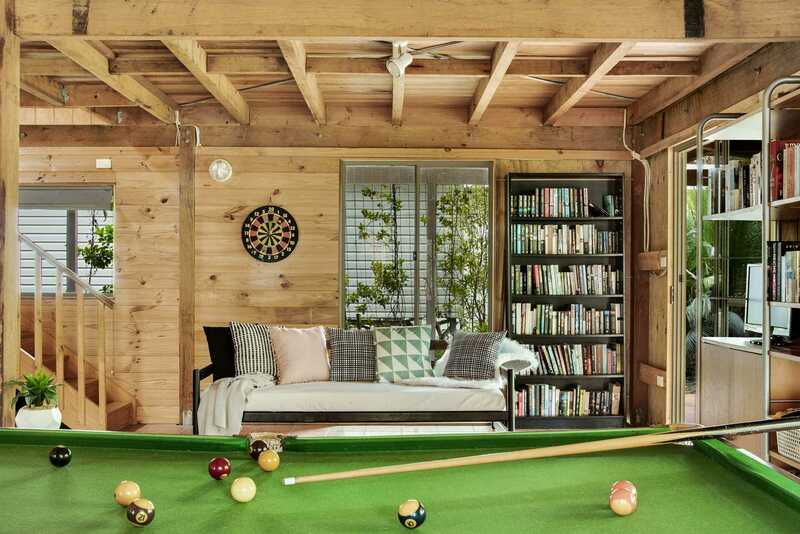 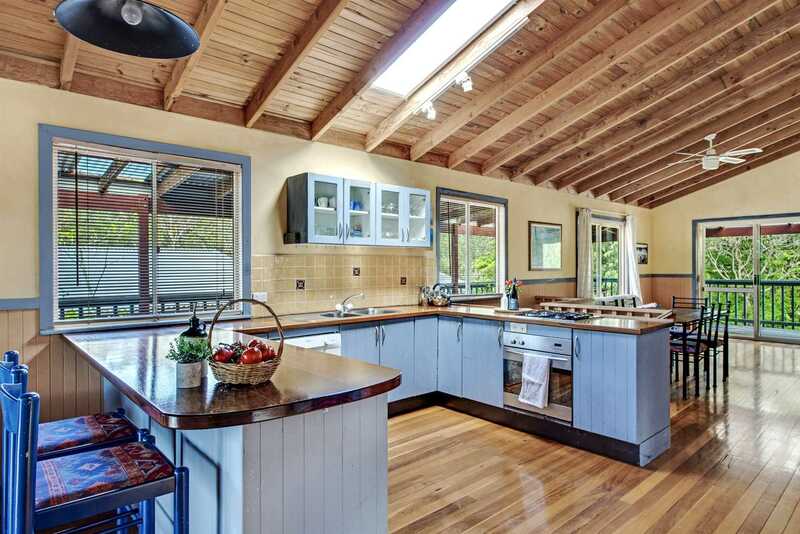 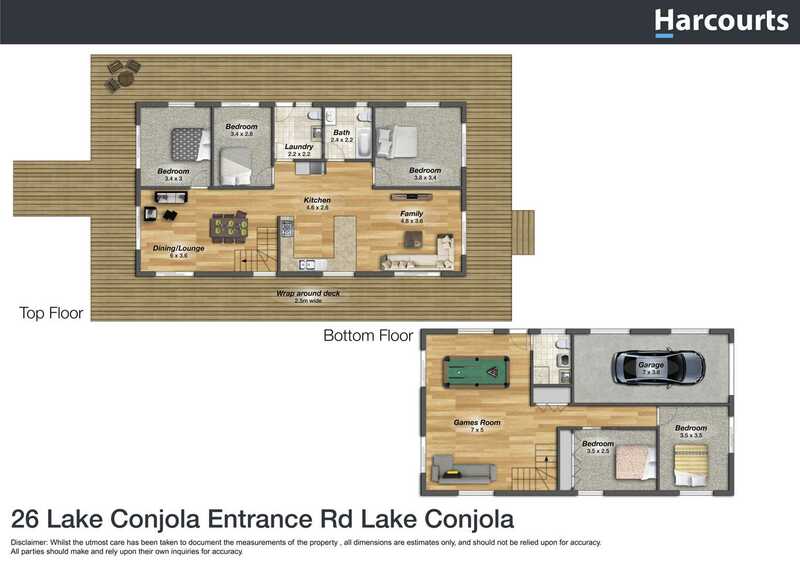 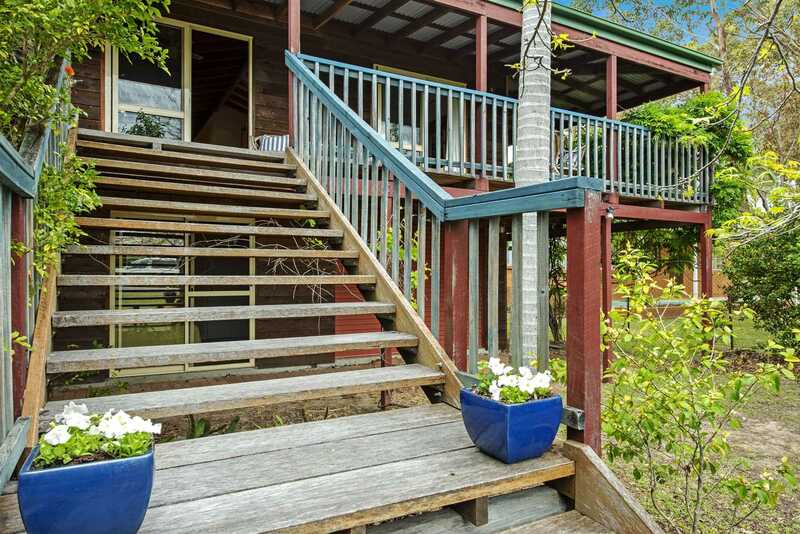 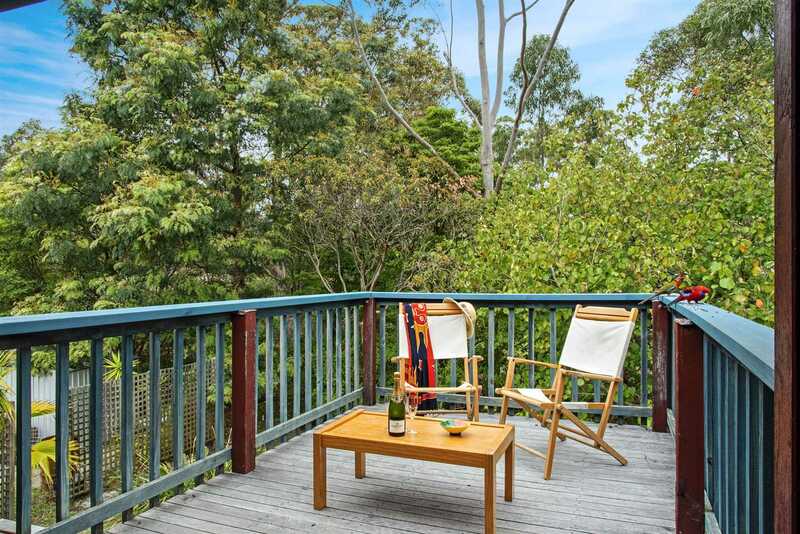 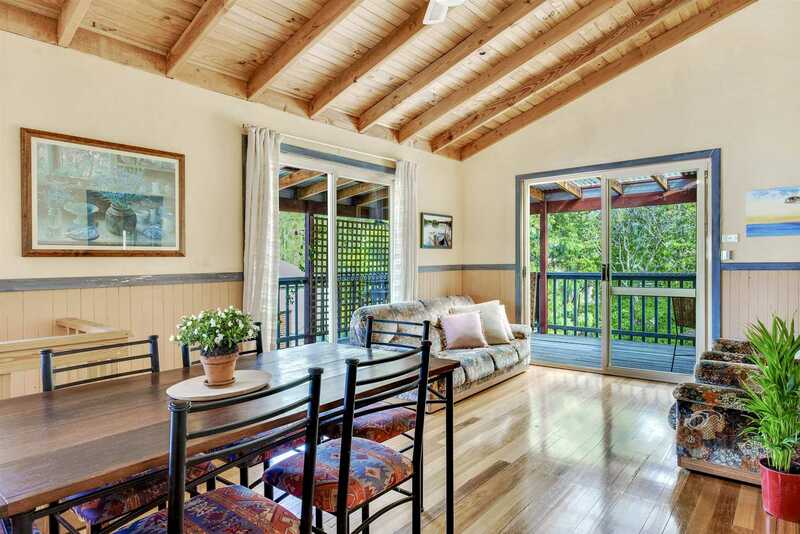 This idyllic spacious home sits nestled between the trees in unspoiled Lake Conjola, an ideal holiday destination for Sydney and Illawarra residents seeking peace and quiet. 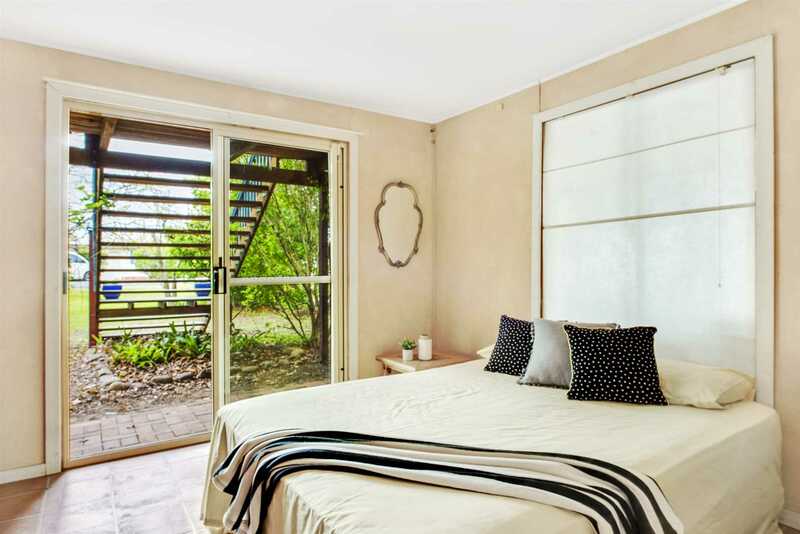 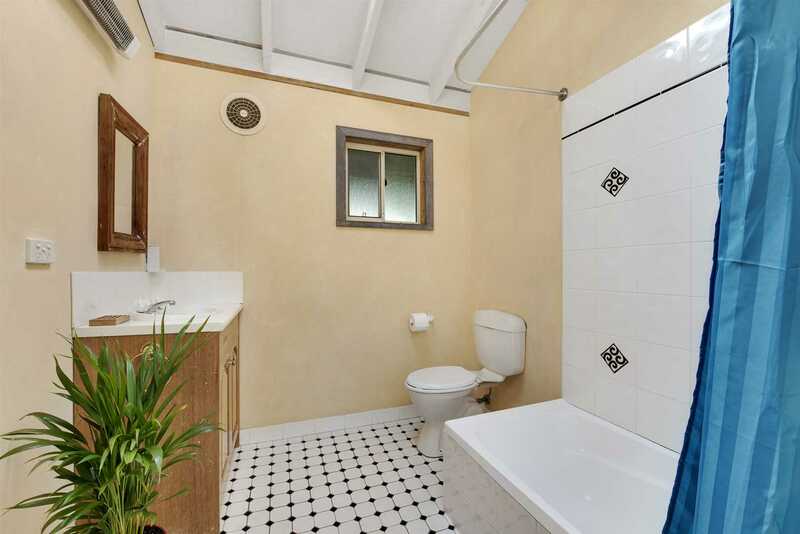 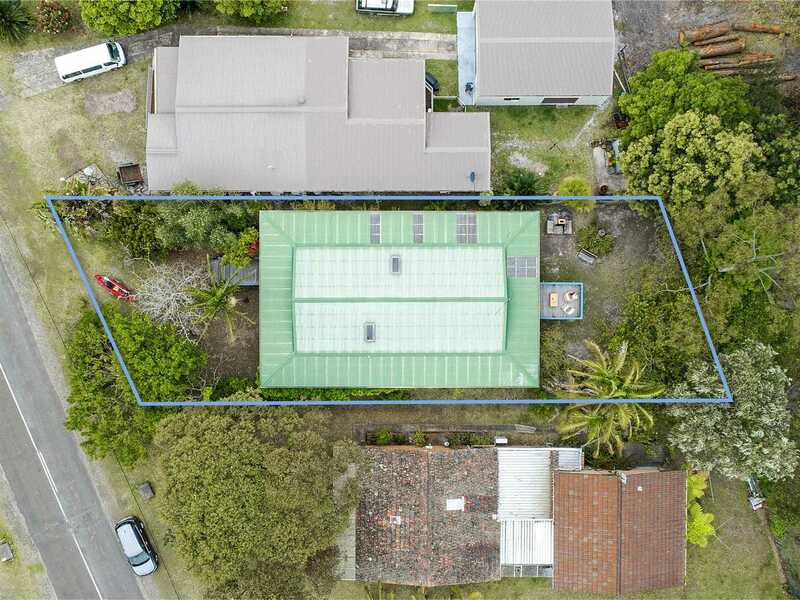 The home would suit either holiday or permanent living, as the accommodation is generous with five bedrooms, two bathrooms and expansive living spaces. 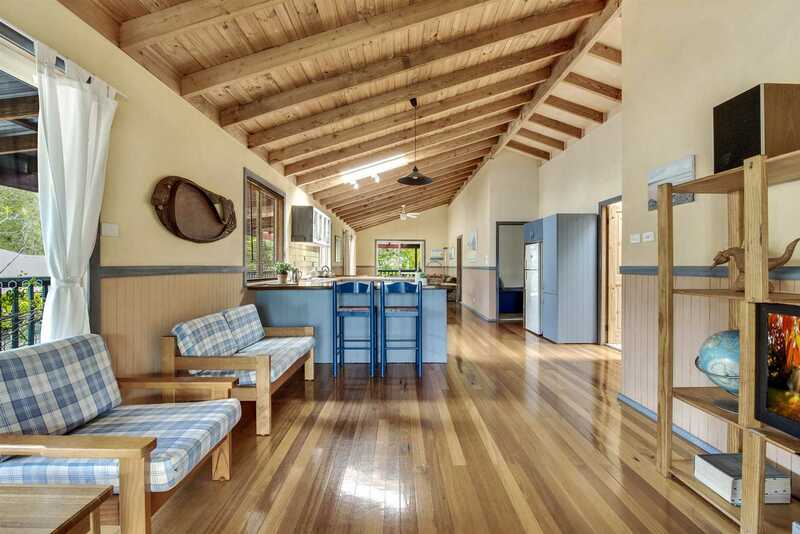 Built in 1998 from durable hardwoods including Western Red Cedar, Ironbark, Forest Red Gum and Spotted Gum, the "Queenslander" style design is full of character and warmth with a leafy outlook. 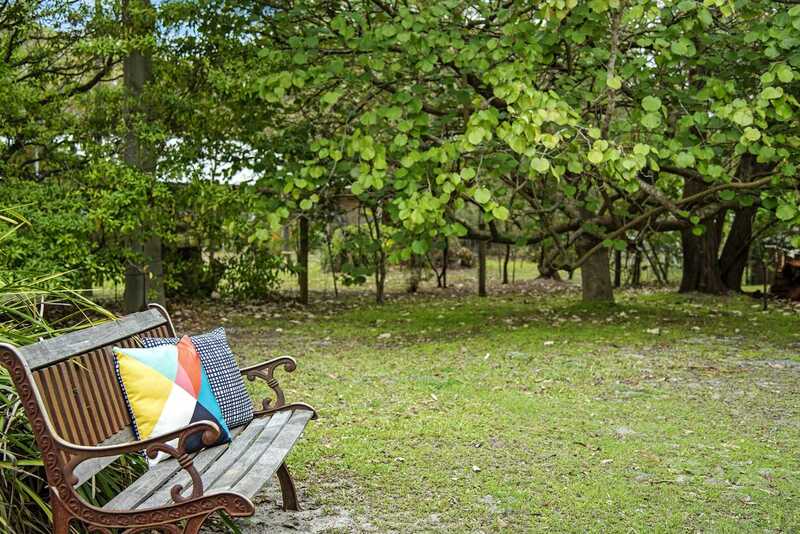 A popular sanctuary for the local wildlife, you'll often share this haven with kangaroos, echidnas and an abundance of native birds. 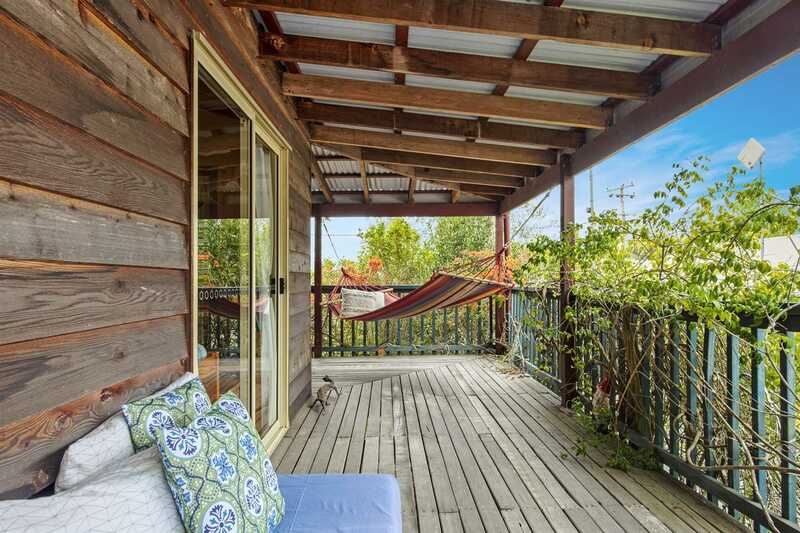 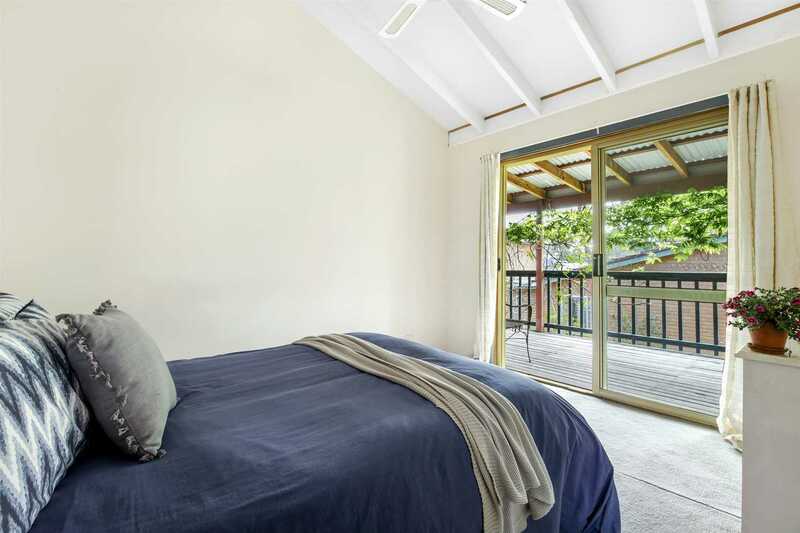 A wide roofed verandah wraps around the house giving you a retreat from the elements year-round. 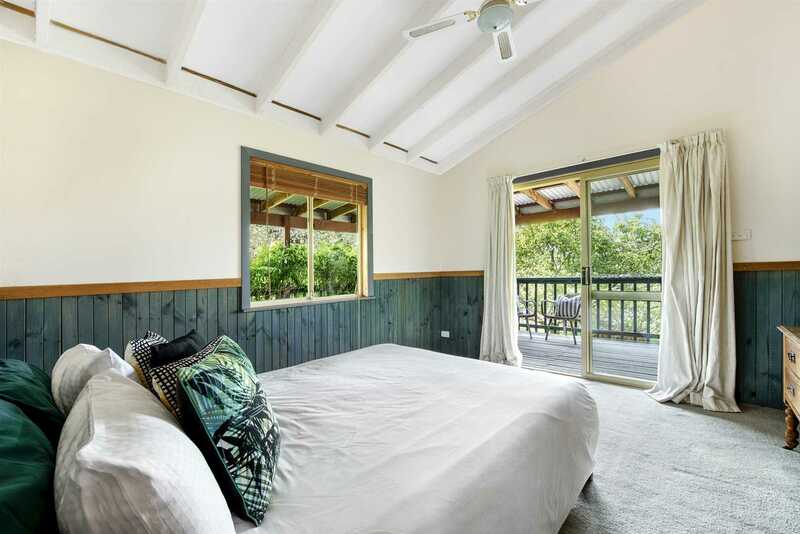 With glass doors opening to the verandah from the upstairs bedrooms and flowing living spaces, the natural light floods in from the skylights above as the breeze flows through from the verandah. 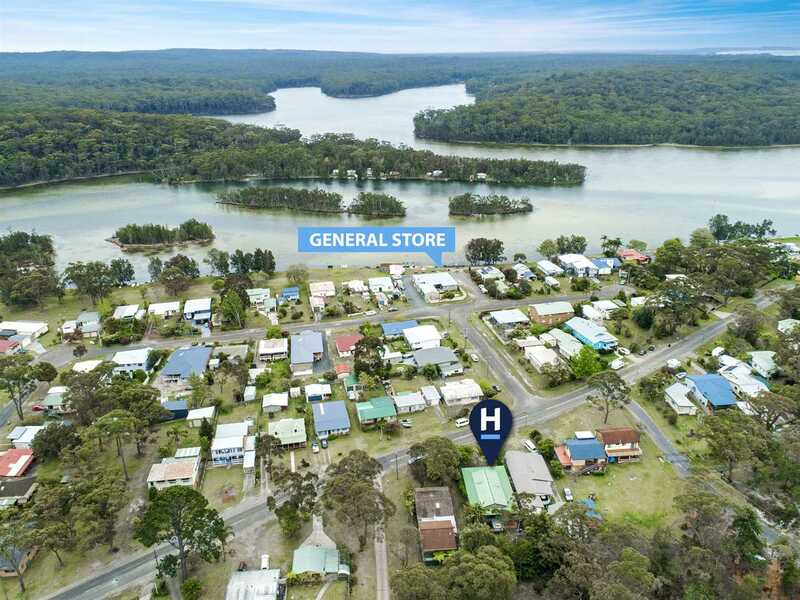 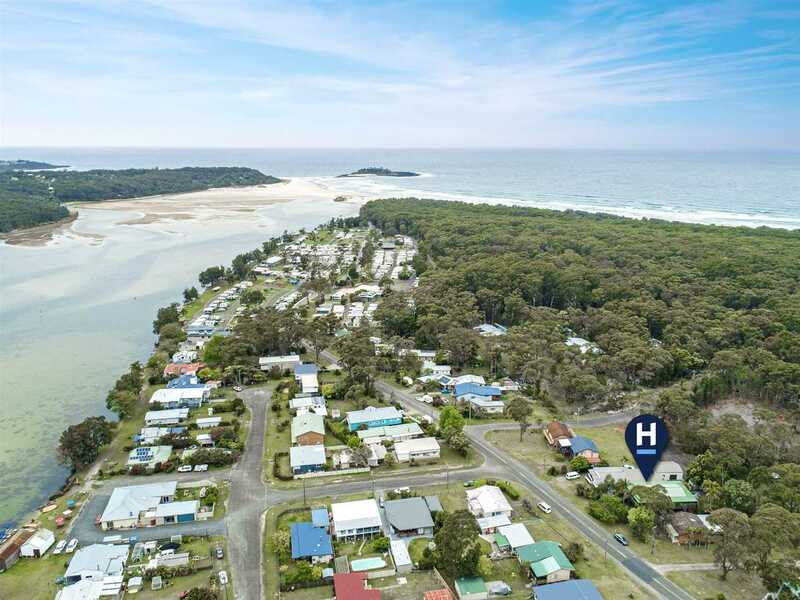 Close to all that Lake Conjola has to offer, you can walk 200m to the general store and the lake's edge or venture 10 minutes along the sandy track to the beach.